How old do you have to be to Skate on the Rink? To skate on our rinks you have to be at least 5 years old. Skaters aged between 5 and 12 are classed as children and must be accompanied by an adult (18+). You can skate on our rink up to any age, although you are responsible for skating safely and it is not recommended for anyone with serious illness, heart conditions or pregnant mothers to be. If I’m a novice, is there any help available or are there any Skate aids? 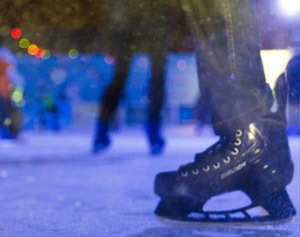 Our Ice Skate Marshalls are there to monitor safe skating and will assist when possible if you are a novice. We do have Skate Aid penguins available for young children. These cannot be pre-booked so please arrive early at the session to hire one. They are £5 each to hire and are available from the Skate Exchange area. PLEASE NOTE – These are limited in number and availability at the rink, subject to business levels and we cannot guarantee their availability. 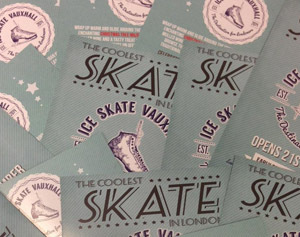 Skate Hire is included in the ticket price. You are able to provide your own skates if preferred. Ice Box Entertainments is not responsible for your skates, shoes or property when skating at our rinks. Lockers are available for private property, at a small charge in the skate exchange area if you are skating. How long is the session on the ice for? Sessions last for one hour including 15 minute end time to remove skates. Please arrive at the Skate Exchange at least 15 minutes before you session time to allow ample time to put your skates on and store belongings. Should I pre-book a session or can I turn up on the day? We recommend that all sessions are pre-booked online to avoid disappointment and avoid queues on site at busy periods. Tickets can be printed at home from the online system. This will guarantee your selected session time. The Box Office on site is open daily, although will have varying lengths of queue at peak times. Tickets can be purchased for future sessions at the Box Office in addition to the website. Will I get wet when skating on the rink? 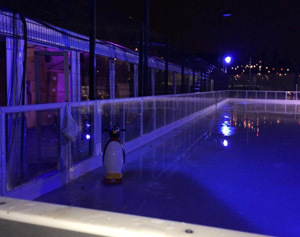 On all outdoor ice rinks there is a risk of getting wet, if you fall over and have any contact with the surface of the ice rink. As the rinks are open-air, rain or snow is also a possibility so please wrap up warm in appropriate outdoor clothing, with hats, gloves and scarves! 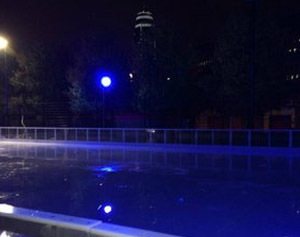 It is still safe to skate on the ice during rain and snow and this does not affect the ability to skate on the rink. Yes we have an adjoining spectator decked area and viewing platform at our ice rinks. This is not a covered area so please also wrap up warm! Do I have to pay to be a spectator? Spectators do not have to pay to access the decked viewing areas. If I cannot make it to my booked session, will I get a refund? Unfortunately we cannot offer any refunds for non-attendance. Where it is possible, we will try to accommodate you in another session, this will be subject to availability and ticket category. If the weather is very poor, will I be able to skate? Usually the outdoor ice rink is open in all weathers. Our advanced cooling equipment keeps the rinks frozen and operational in most weathers. In the unlikely event that extreme weather conditions force us to close the rink we will arrange for you to book into an alternative session. Our manager will make this decision in the interests of your safety. No refunds will be given. Can I park at the Ice Rink? Please check out our location details on the ‘Find Us’ tab which have maps and advise on recommended transport links. 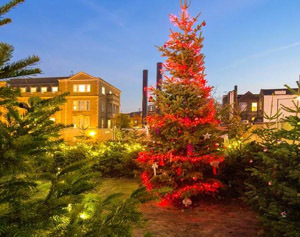 Vauxhall – There is no car parking near to the Ice Rink at Vauxhall. We recommend that skaters use the excellent Underground, Overground and Bus links that serve Vauxhall as we are located only 5 minutes from the stations. Is there somewhere to buy food and drinks at the rink before or after skating? 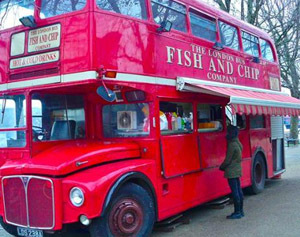 Yes, there is a Cabin bar serving Mulled wine, Hot Drinks, Hot drinks and ciders and a number of Street Food Stalls and exciting Vauxhall Sunday Brunch events. Can I skate on Christmas Day? Unfortunately, we are closed on Christmas Day but we are open all other days shown on our website. Yes, the ice rink is fully accessible for wheelchair users. It’s also free for a carer to accompany you on the rink. If you have already paid for the carer to skate don’t worry! Just head to the box office on the day and we’ll issue you a refund. Are there toilets at the ice rink? Yes there are limited temporary toilet facilities adjoining the rink. Skates will need to be removed before accessing the toilets. Feel free to ask your question or share your opinion. We're always happy to have your feedback.